For today’s post, we take on Hero by Perry Moore, and Bleeding Violet by Dia Reeves. Original Rating GASP! Thea gave it a 10! 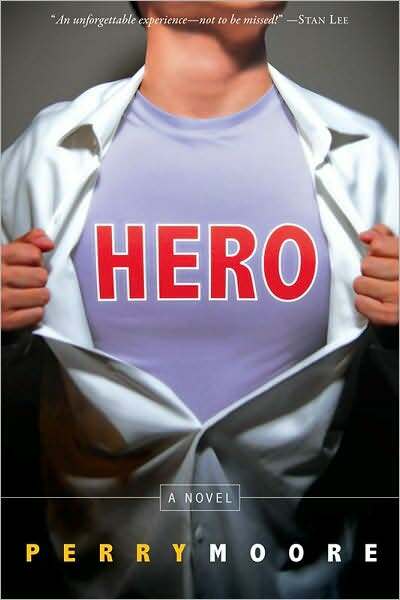 Hero is, in this reader’s opinion, a perfect book in every way. Rousing, heartening and inspiring, Thom’s journey is one that is applicable to everyone. I cannot recommend this book enough – and it’s easily at the top of my list of favorite books read in 2010. What Ana Says I HAD to read this book. Not only because of Thea’s awesome review but also because of her emails to me when she was reading it. I don’t think I ever received emails from her before with such an emotional response to a book – at least just not like that. It is a running joke in our headquarters that I am the emotional smuggler and it is a fairly regular event to have me emailing her with me being extremely enthusiastic about a book to the point of dramatic TEARS!DESPAIR!JOY! I often envy Thea for being able to be very enthusiastic about a book without the added drama like yours truly; but when she DOES, then I know she has found something special. She is like that when reading Juliet Marillier for example and that was what prompted me to pick her books up and guess what, she was totally right. So, going back to the start: I HAD to read this book. And yes, Thea was right and I too, am in love with Thom and Hal Creed and their difficult relationship. THAT is what made the book to me. More than the world-building (which I think is fine, but wasn’t particularly impressed by it), more than the fighting sequences and all the action (which were cool), it was the relationships, between Thom and his father, between Thom and his absent mother, between Thom and his friends (especially Scarlett and Goran). Thom is the teen narrator and his father Hal used to be a hero but without superpowers and it’s been a while since a law has banned non-powered superheroes from the league. Hal is a bitter yet proud man dealing with both very public failures and very personal ones. Thom both admires and fears his dad and that fear comes from being a budding superhero with real superpowers and from being gay. And here is what I think is the genius of this coming of age novel: that inasmuch as Thom has a very real uphill struggle with the public side of being gay (his father is homophobic, his friends in school are bullies), he is actually very much secure about who he is. There is no discovery or realisation because the book starts with Thom being well aware of being gay and being fine, about it on a personal level. I love how he dreams of finding someone to love and how he has this mad crush on one of the big league super-heroes. He is much more insecure about being a superhero for example, how to use his powers, how to address his peers, etc which I think is a fine, brilliant way of addressing his story. There are moments of despair (and I so despaired with Thom) and there are moments of utter joy and I fist pumped all alone in my living room in triumphant, compassionate happiness every time Thom got over one of the obstacles in his way. And OMG the romance is awesome! Although I don’t think I loved every single aspect of it as Thea did, I did love Hero very much and highly recommend it. Original Rating: 10 – Perfect! 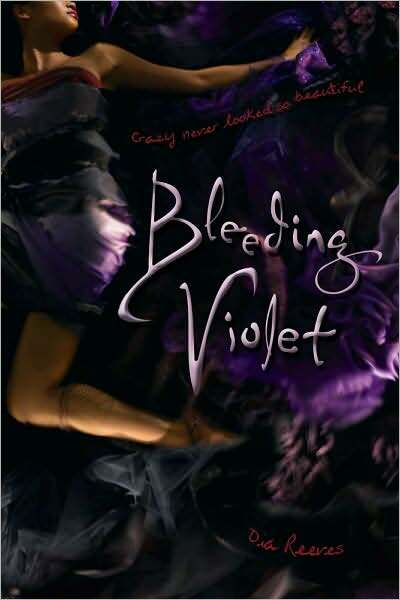 Bleeding Violet is one of the best Young Adult novels I have ever read. The writing is lovely, the story is hands down amazing and the characters are everything I could have hoped for. Every time I open a book, I wish for the sort of all-encompassing experience that this book provided me. I think it is testament to this writer’s ability (and perhaps fondness for her characters) that in spite of all the aforementioned violence and darkness, Bleeding Violent ends on a definite, unmistakable and believable high note. And as of now, this book has a secure spot on my top reads of 2010. What Thea Says: Well, how could I resist an endorsement like THAT? Yes, Ana tends to be a little more…exuberant and generous with her affections for books (when it comes down to top 10 of the year time, there’s something like 50 books on her list! How awesome is that?! ), and I am in awe of the emotional rollercoaster she goes on every time she reads. More often than not, Ana finds a new author/book/character to passionately love/despise/etc – I have the emails to back it up. I kind of feel like this month’s “What She Said” is bizarre – because Hero seems like much more of an Ana book, and Bleeding Violet more of a Thea book, and yet we had them flipflopped the first time around. But I digress. Because of Ana’s emphatic endorsement, because of the irresistible blurb (and that gorgeous cover may have had something to do with it, too), I eagerly scooped up this book. Hell yes. Bleeding Violet is pretty G.D. awesome. It features a truly messed up cast of characters – bipolar, hallucination-embracing, affection-starved Hanna; the coldly beautiful Rosalee; the irritating (if intriguingly different and handsome) Wyatt. From the get-go I fell in love with Ms. Reeves’ prose and characterizations – Hanna, in particular is delightfully manic. Her surreal brand of psychosis (when we first meet her she is speaking to her dead father, mentally) may be a bit strange or hard to get into for some readers, but for me? I loved the dream-like quality her perspective-filtered, unreliable narrative provided. I also loved that she is biracial and comes across as genuine (as a biracial mutt myself, I am all to familiar with the ubiquitous “What ARE you?” question), her emotional issues and psychosis are also well-handled and ring as true. Her desperation for her beautiful mother’s attention and love is also particularly moving. Of course, the other characters are similarly textured and believable – Rosalee in her fragile frigidity, wanting nothing to do with the daughter she had the mistake of having, Wyatt in his tangled emotions and obligations. I loved them all – and Ana is absolutely right in her review, because stripped of the glamour and bizarreness of the plot, this is at its heart a character-centric novel. That’s not to say that the plot is deficient – because it’s not. Portero is a town full of worldly portals and bizarre monsters – creatures that live in glass, that lurk, tentacled and monstrous in the shadows. And you know what? I LOVED IT ALL. Ms. Reeves’ writing style is beautiful, freeflowing and irresistible. I have to chalk this one up to a truly successful What She Said – I am one happy camper! While I don’t think Bleeding Violet is perfect, I do think it’s damn awesome and one of my favorite reads for the year, absolutely. As you know (Bob), I already read and ADORED Bleeding Violet. *whispers* Thea, guess what I bought yesterday? That’s right, Hero! Ana and Thea, thought you should see this in light of your Sisters Red review. I really like the snyopsis of Hero. I especially like that Thom is a superhero and that he already knows and accepts that he’s gay (much like Augie in My Most Excellent Year). I just read this. It was super fun! Thanks for pointing it out.